John Ed de Vera, Moleskine x Tmall. 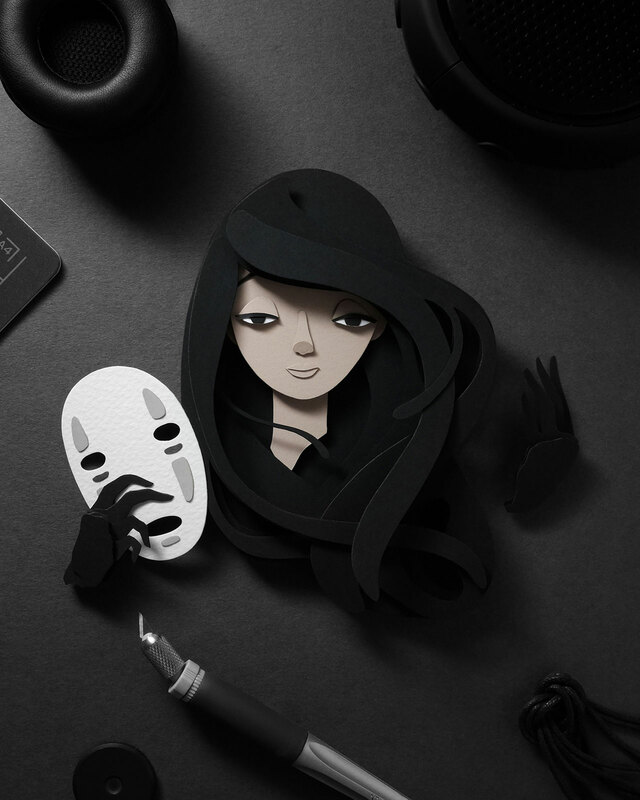 Paper cut artwork for Moleskine, in partnership with Tmall’s 11.11 annual shopping festival, launched in November 2017. Currently on display at the Moleskine Store in K11 Shanghai. 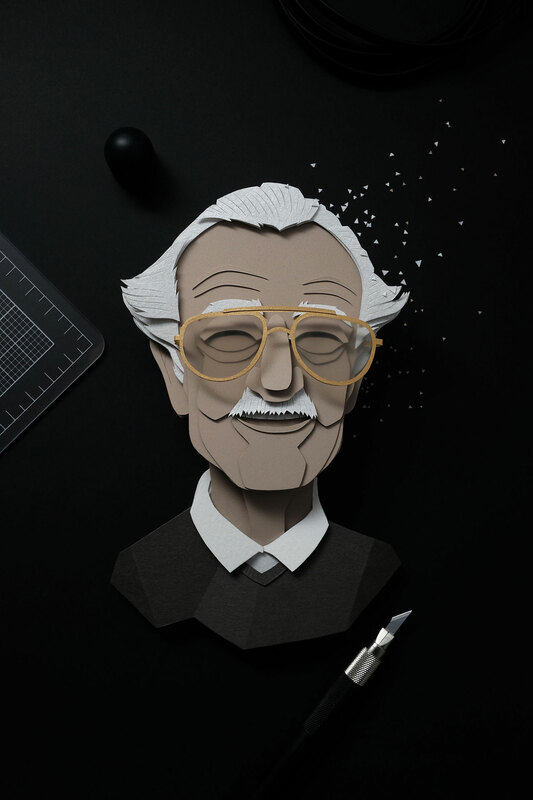 Six days after Marvel Comics mastermind Stan Lee departed for the great unknown, in November 2018, multidisciplinary designer John Ed De Vera created the legend’s portrait, made up of tiny pieces of paper glued together one on top of the other, in an incredibly vivid 3D collage. 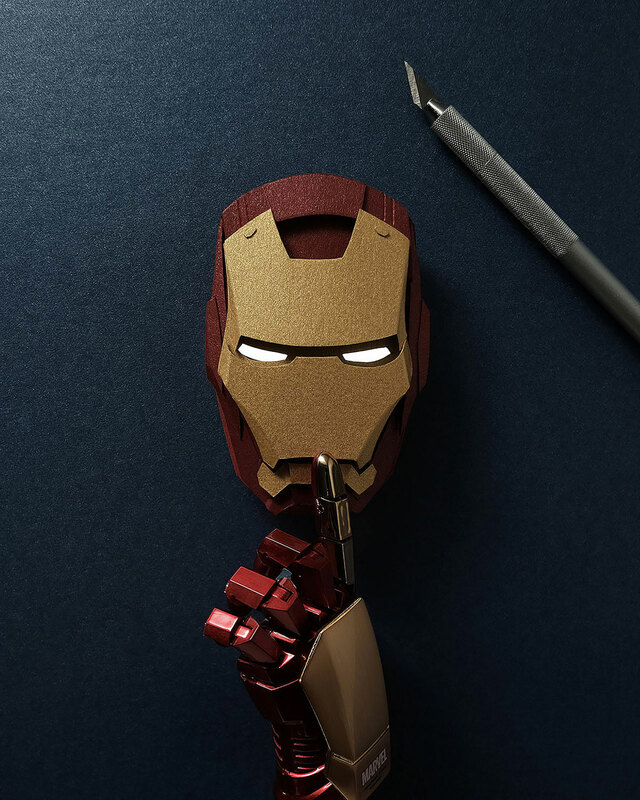 This was the artist’s tribute to the iconic superhero creator, a way to say ‘thank you’ and immortalize him through the thing he loves doing best, sculpting with paper. 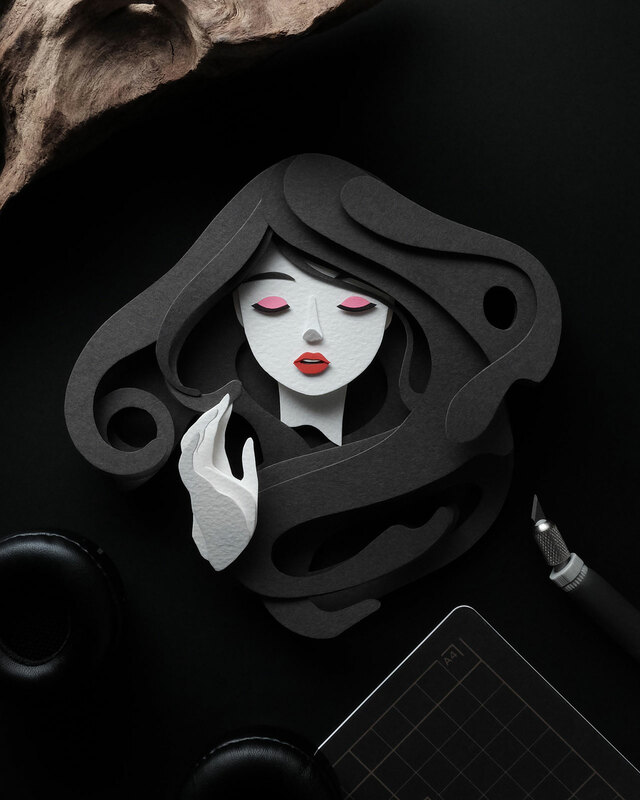 Literally at the cutting edge of art, meticulously giving life to shapes and forms through paper layering, the Philippines-based, multidisciplinary designer creates pop up illustrations by stacking several different layers of paper in order to sculpt a third dimension. In this way, the images he creates not only stand out, they also reach out to viewers with a most congenial narrative. 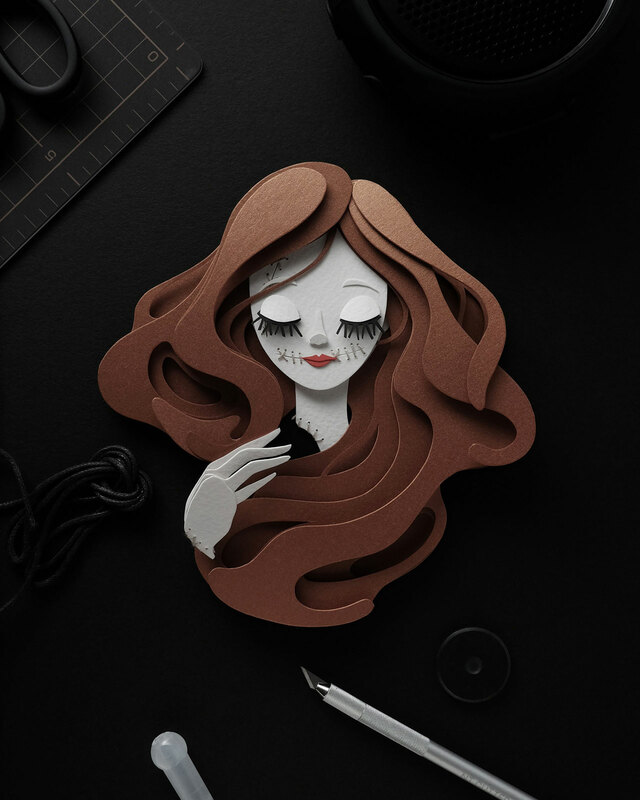 Playing with depth and shadow, his intricate designs are created with basic tools, like paper and scissors. Gal Gadot’s Wonder Woman, President Donald Trump, Lady Gaga, characters from The Game of Thrones, as well as The Black Panther have all undergone this creative’s knife, in his quest to find new ways to push and innovate through his craft. 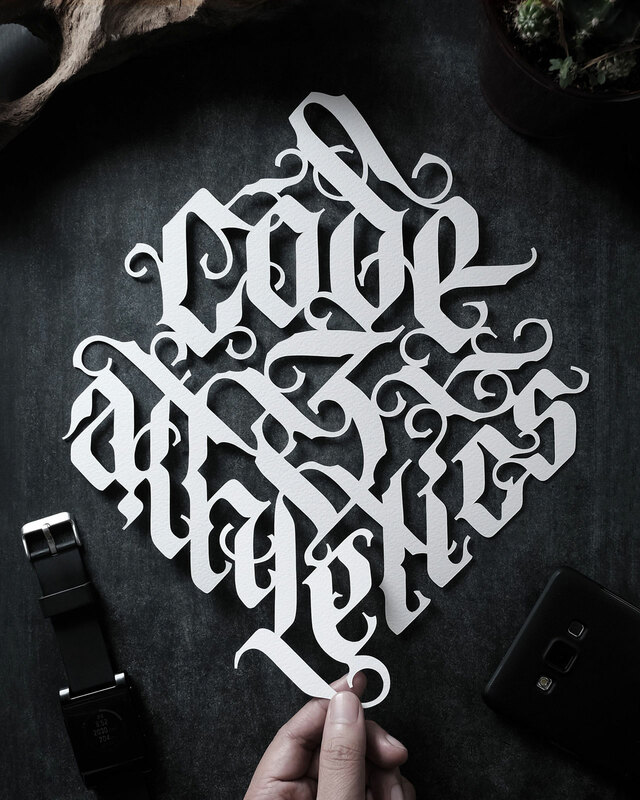 John Ed de Vera, Custom piece for Code 3 Athletics. Hand cut watercolour paper. John Ed De Vera, 'Stan Lee' from the #Madethepapers ongoing portrait series for an online publication. © John Ed De Vera. John Ed de Vera, 'Create your Future'. 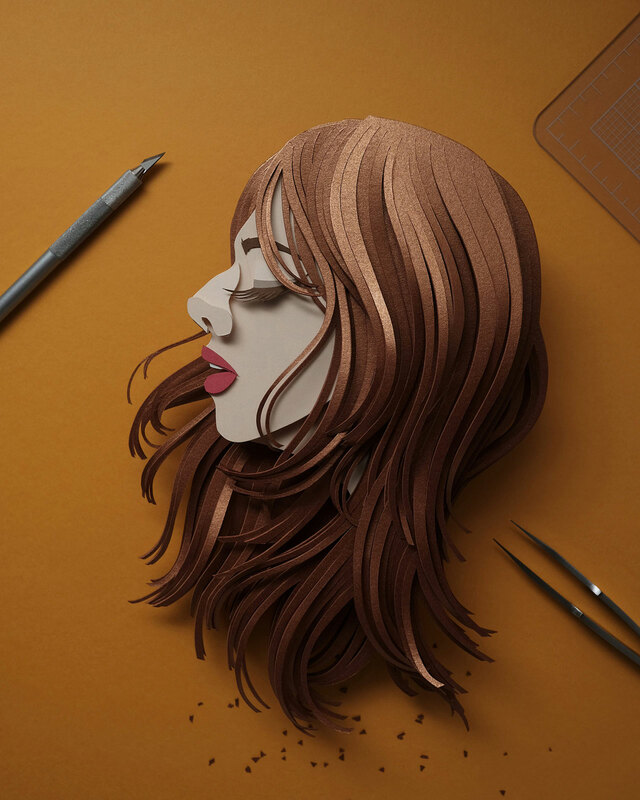 25.5″ X 11″ paper cut illustration. John Ed de Vera, 'Moana' from Film Muses ongoing series. © John Ed De Vera. John Ed de Vera, 'Sally' from Film Muses ongoing series. © John Ed De Vera. As a boy, he would play with technical pens and cutters, and join random street contests for creating posters on the spot. John was one of those kids who would fold bank notes to create little figurines or fill his notebooks with countless letterings and doodles. In college, where he majored in Advertising Arts, computers weren’t brought into play, so he would design his own letters for the projects that were assigned to the class. His love for analog crafting remains to this day, even though he manages to blend in a little digital magic, allowing for the two worlds to develop through each other under his wand, or should we say scalpel. The analogy to a surgeon is not random at all, as what this artist does requires patience, accuracy and precision. John Ed de Vera, 'Yumi' from Film Muses ongoing series. © John Ed De Vera. John Ed de Vera, 'No Face' from Film Muses ongoing series. © John Ed De Vera. 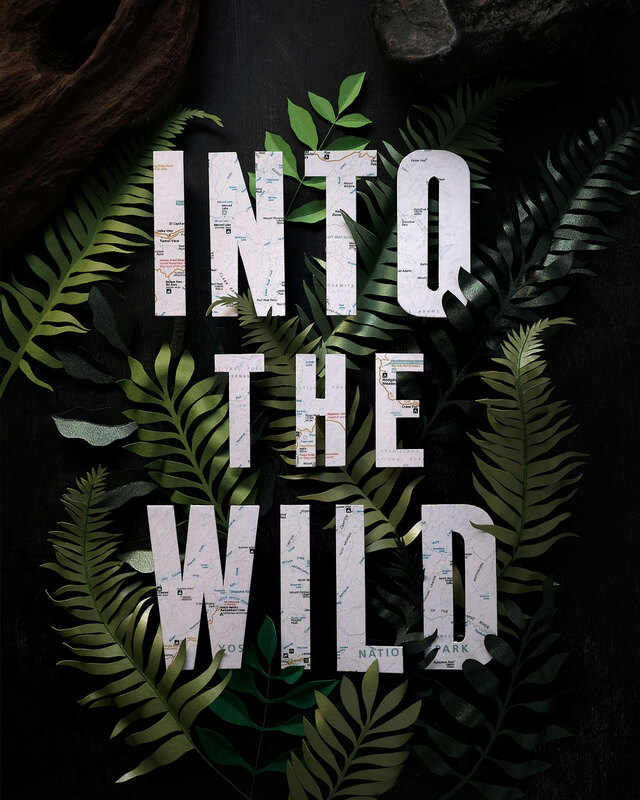 John Ed De Vera, "Into the Wild". Map decoupage on paper cut letters and foliage. Page 64 on Delta Sky Magazine’s Nov 2018 issue. John Ed De Vera, 'The Shape of Water' from the #Madethepapers ongoing portrait series for an online publication. © John Ed De Vera. John Ed De Vera, 'A Decade of Tony Stark' from the #Madethepapers ongoing portrait series for an online publication. © John Ed De Vera. 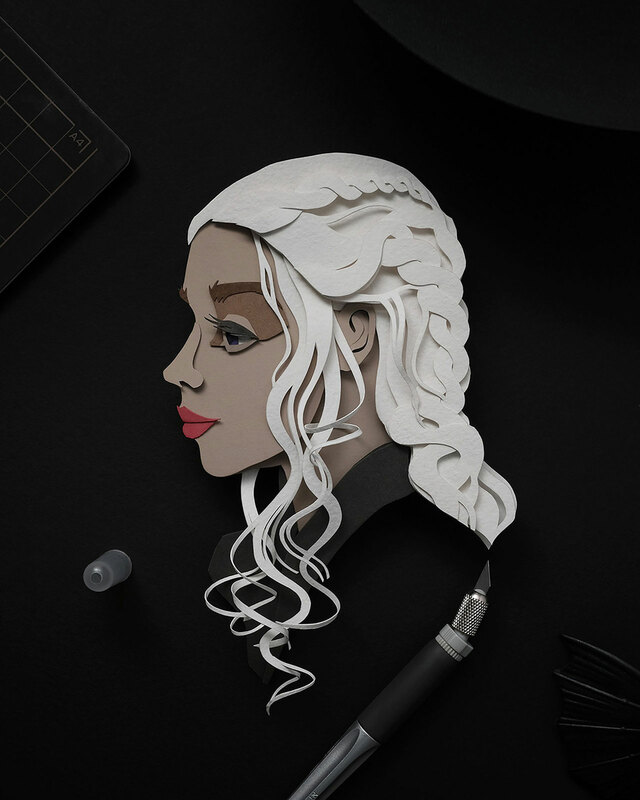 John Ed De Vera, 'Emilia Clarke' from the #Madethepapers ongoing portrait series for an online publication. © John Ed De Vera. Creative discipline, a clear head, and many hours of concentration are indeed demanded of him every time, in every step of developing his meticulous artistry: each element is first traced on thin writing paper, before being transferred, one by one, to coloured paper. Cutting the thick material by hand requires a steady hand and a Zen-like state of mind. And then, the fun begins: stacked one on top of the other, in pre-conceived arrangements that resemble the art of 3D paper toles or, as it is commonly referred to, decoupage, the paper cutouts begin to take shape and form. The more numerous the layers, the more protruding elements and more shadows to play with, in this game of handcrafted illusions. John Ed De Vera, 'Lady Gaga' from the #Madethepapers ongoing portrait series for an online publication. © John Ed De Vera. 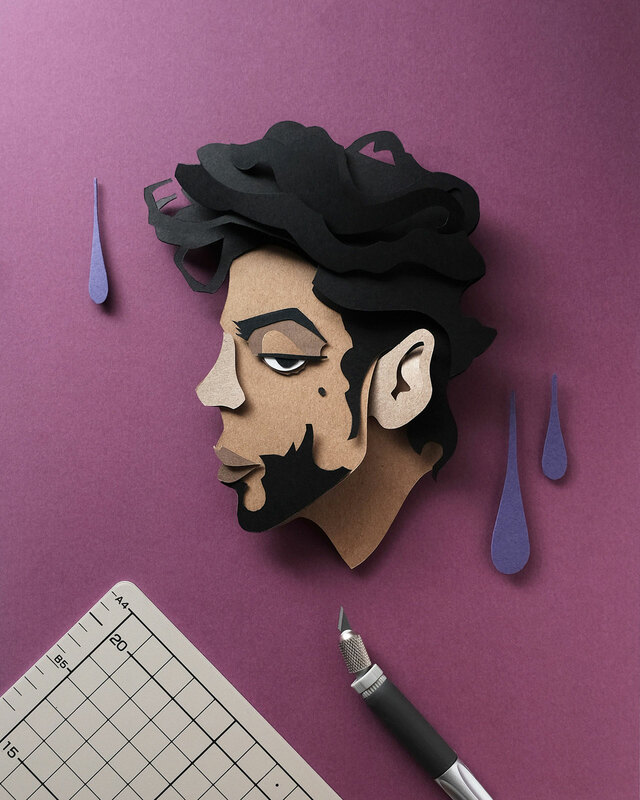 John Ed De Vera, 'Prince' from the #Madethepapers ongoing portrait series for an online publication. © John Ed De Vera. 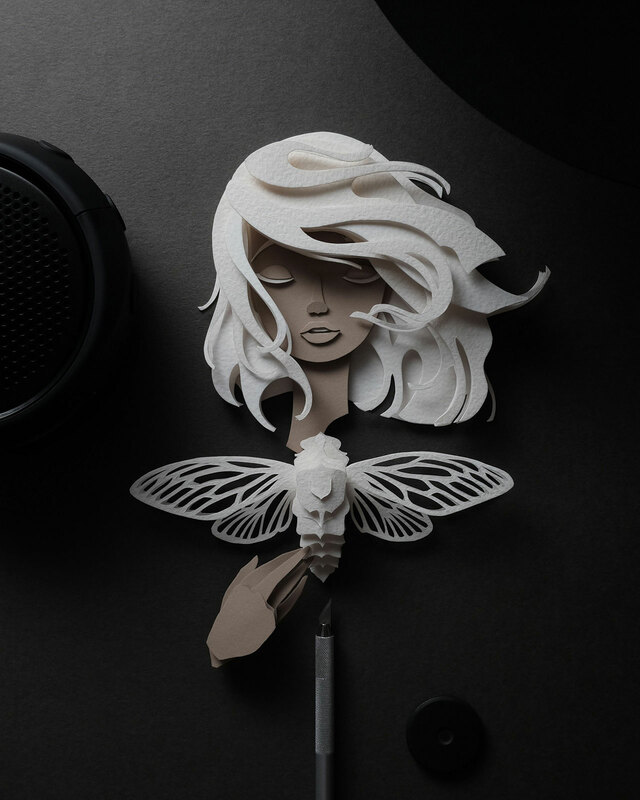 John Ed De Vera, Paper Cut Nymphs: 'Pasithea', 'Zaya' and 'Nausicaa'. A series of sleeping deities hatched from small scraps of watercolor paper and 300 gsm boards. © John Ed De Vera. 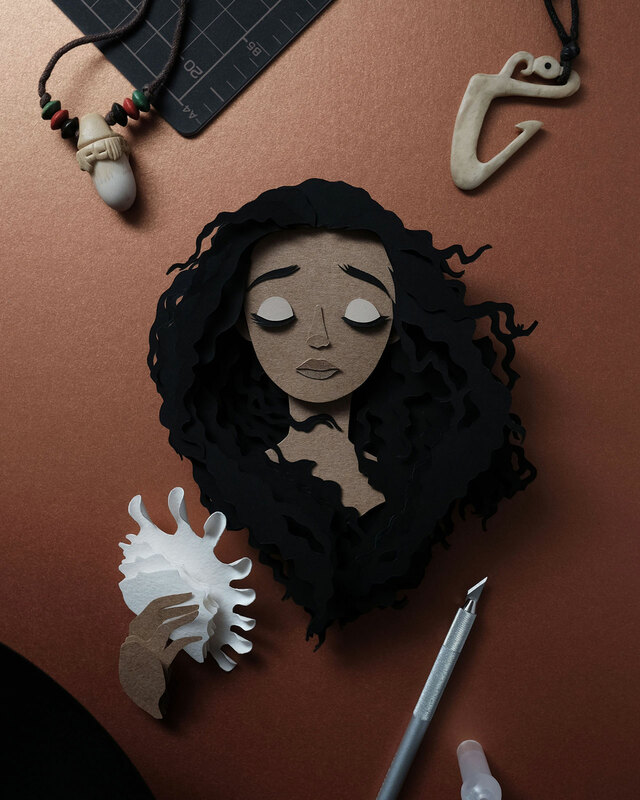 John Ed De Vera, 'Nausicaa' from Paper Cut Nymphs. © John Ed De Vera. 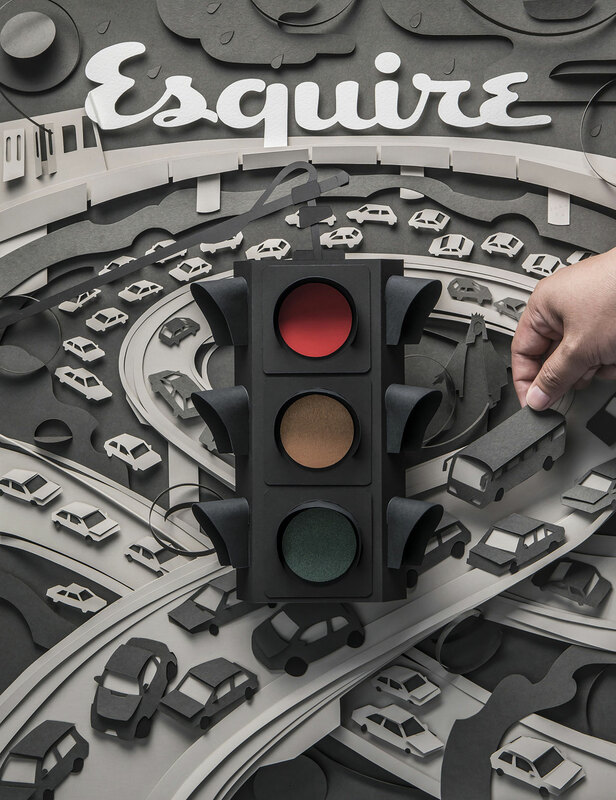 John Ed de Vera, Editorial illustration for Esquire Philippines magazine. John Ed Vera’s day job is Creative Director at TBWA, an agency that dabbles in all different aspects of advertisement and product placement, from packaging to TV campaigns, winning several awards along its creative path. 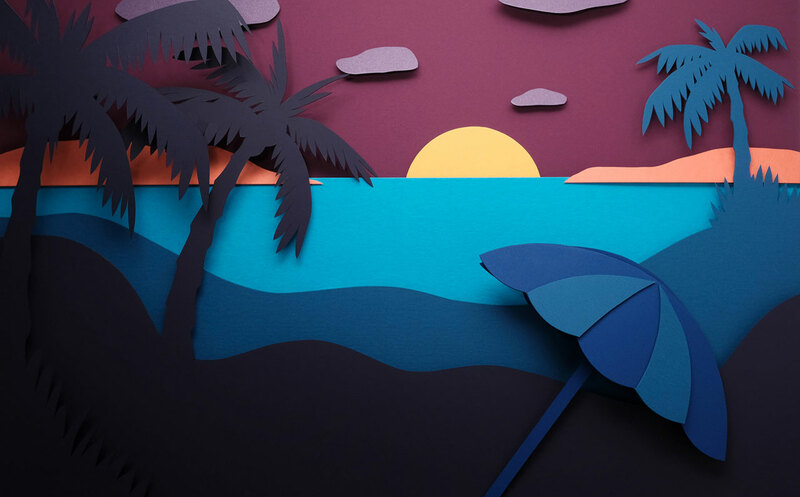 Devoting his free time to what appears to some as a kindergarten pastime has led John to interesting design collaborations with household names like Moleskine and Esquire magazine, as well as personal experiments with different media, like graphic design, origami, film typography and moving illustrations. 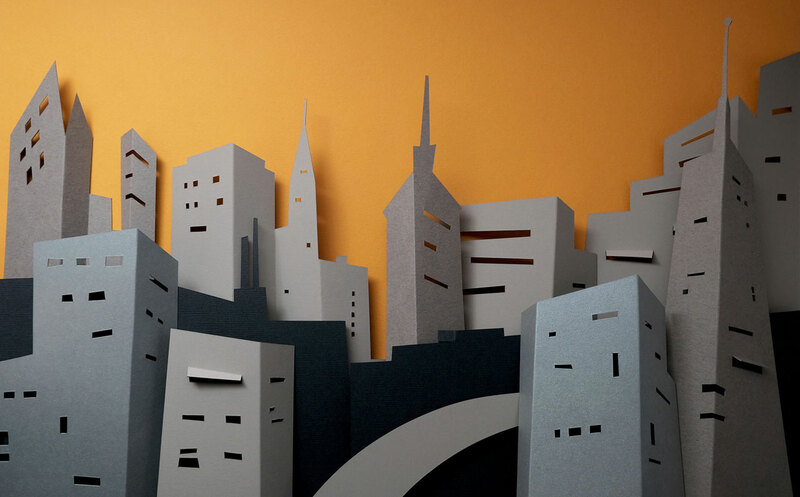 His approach to paper cutting is, however, what stands out as a manifestation of his singular mastery and his example is proof that when you dedicate yourself to feeding your inner hunger for creation, everything you get your hands on can indeed be turned into gold. John Ed De Vera, 'Sommer!'. A series of simple background illustrations for Donna magazine’s summer beauty editorial. 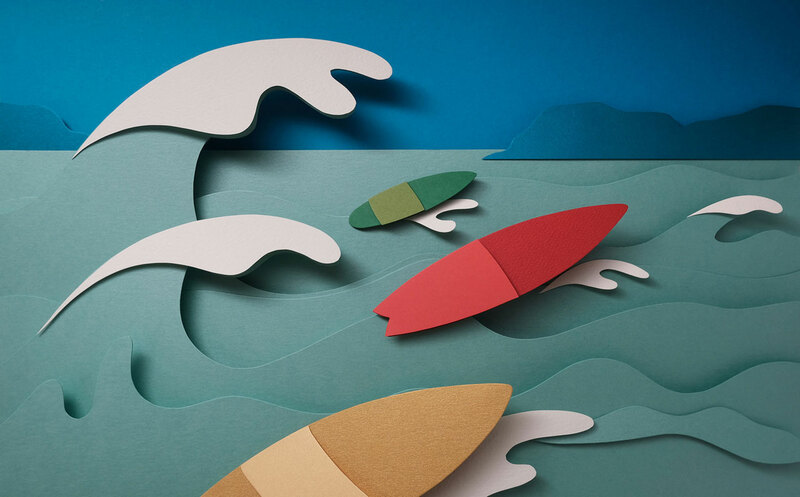 John Ed de Vera, Illustration for Prudential, under The Washington Post BrandStudio content program. © John Ed de Vera.